Join your fellow winter enthusiasts in supporting NU's mission and activities by joining or making a donation! ​NU operates and maintains three snowmobiles, 3 Ginzugroomers, 3 rollers, 4 trailers and 2 track setters to groom the trails in Cache County. Money goes toward gas, repairs, and planning for new equipment. * Toko USA is providing a 25% discount to all NU members and donating 10% of sales back to NU. New or renewing members can pick up the discount card at any NU board meeting or event or email Gino or Mike for the discount code. ** Al's Sports is holding a private corporate sale discount on Monday, December 10 from 5pm to Midnight with discounts of 25-40% in most departments. Your entrance "ticket" is (1) your printed NU membership PayPal receipt and (2) this printed flyer when you join or renew at the Jardine Juniper level or greater. 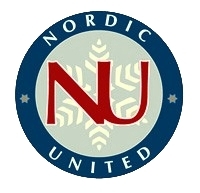 *** Rossignol USA is providing a one-time group purchase on Nordic equipment to Nordic United members through The Sportsman who join or renew at the Jardine Juniper level or greater. Deadline to submit an order is Wednesday, December 19 and includes a 50% down payment. Steps: (1) Download Discount Price List (PDF) & Order Form (XLS) (2) Visit Rossignol Nordic webpage (under "Nordic") (3) Bring order form to the Sportsman or contact Gino to arrange drop-off or for questions.